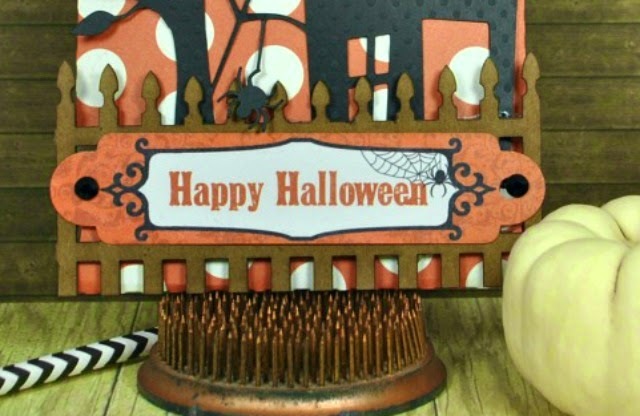 I love Halloween paper crafting...it's my favorite time of year to create with paper. I love the colors, patterns and all of the awesome embellishments! It's just the simply the best! 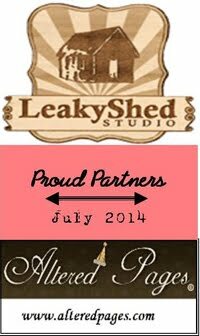 I love the Leaky Shed Picket Fence, it's awesome as a border or to cut up and used for cards. 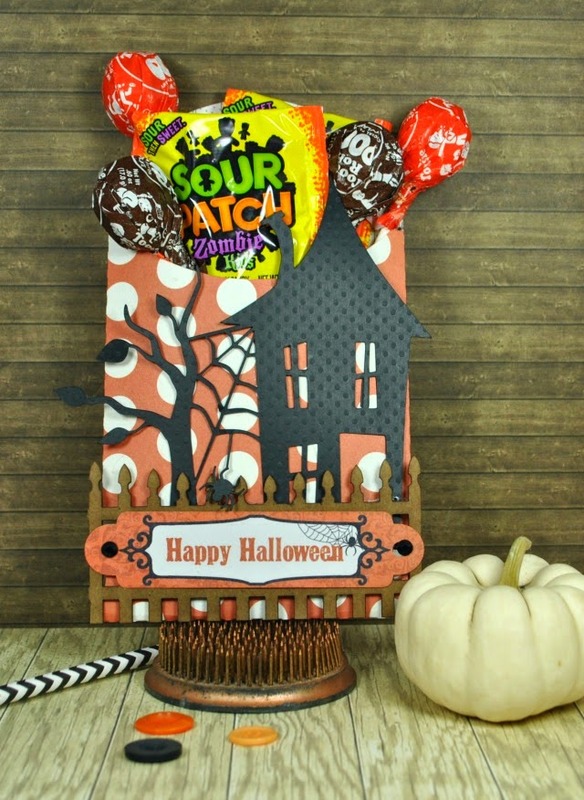 I still had a piece left from another card I created for Leaky Shed and I knew it would be the perfect embellishment for my spooky little treat bag. It was the finishing touch I was looking for with my Haunted House, it just really sets it off. I added just a bit of Vintage Photo Distress Ink to it and then adhered it to the bag! Wishing you all a Happy Halloween Paper Crafting Season!